Car and Light Truck Tire Service at Pete’s Tire Barn. When you get a tire quote from Pete’s Tire Barns the price includes all of the services below. Sometimes you might ask yourself why the other guy’s tire is a little cheaper. Well that’s because many times these services aren’t included in their tire price! Alignment – When you get new tires from Pete’s Barn Tires we can align your tires for an additional fee. This service is not required when getting new tires, so if you would like us to align your tires please just ask. 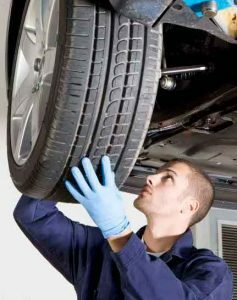 Proper alignment helps your tires to last longer, drive straighter and can help to identify safety hazards before they occur. Pete’s Tire Barns carries many of the most popular brands of tires for cars, light trucks and sport utility vehicles (SUV). These brands offer a combination of value, performance and tire life. By offering tires from some of the best manufacturers in the tire business we can ensure our customers satisfaction.